Tooth pain should always be taken seriously by scheduling an appointment with your tooth restoration dentist. A painful tooth might be trying to tell you that there is infection inside one of your teeth that needs root canal therapy. In this blog post, we will go over the signs you might need a root canal. Please keep in mind that this blog post was written to help you better understand root canals and in no way should replace a visit to an experienced Gahanna dental practice. Sometimes there are no symptoms to warn you of infected tooth pulp. For this reason, it’s important to schedule a preventative care appointment with your dentist every six months. The goal of root canal therapy is to save abscessed teeth or decaying teeth so they won’t need to be extracted. This means that your dentist will need to remove the decaying tooth nerve, along with the infected tooth pulp. Without root canal therapy, the tooth will die and need to be extracted. First, your dentist will need to locally anesthetize the tooth so you won’t feel any pain during the procedure. You may feel a slight poke as your doctor injects the pain killer. Next, your dentist will use a small drill or other dental tool to create a small hole near the top of the tooth. Once a sufficient opening has been made, your dentist will work to clear the dental pulp infection from your tooth. For good measure, your dentist may flush the inside of your tooth with water and anti-microbial solution to make sure any remaining pulp and bacteria is removed. Afterwards, a temporary filling will be used to seal the small hole. A few weeks later, you will return to the dentist’s office to have a dental crown fitted over your tooth so it looks and feels natural. Who do I call when my tooth hurts? If your tooth is starting to hurt, it’s important to call an experienced dentist as soon as possible. A dentist will be able to take x-rays and examine your teeth so they can properly diagnose the problem. You should always Request An Appointment with your dentist at the first sign of dental discomfort. Be sure to describe your symptoms to the person answering your call so they can determine whether emergency care is appropriate for your situation. If you are interested in learning more about our root canal therapy service, please feel free to call our Gahanna dental practice at (614) 475-7580. Dr. 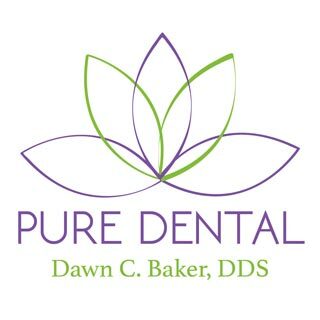 Dawn Baker DDS is dedicated to helping patients achieve the best outcome after tooth restoration procedures.